I will be signing my book Tales From Clear Creek at The Copper Kettle Gun Show, Ashland, MO Saturday Oct. 4. Stop by and see me at The Copper Kettle this Saturday! It was probably the winter of 1948 or 49. My family had moved from the plains of Kansas to a farm near the Platte River in Buffalo County, Nebraska. We were up in the hills north of the Platte between Elm Creek and Kearney. The Platte River part of the Oregon Trail ran between us and the river. I was absorbing and cataloging frontier history even then. My next youngest sister and I went to school at Midway school house. It was a nice country school with two classrooms and a basement. It still exists at the intersection of Midway and Odessa roads. However it is now a nice farm house with a modern farmstead around it. I cannot remember a Christmas program at that school. I am sure we had them, every school did. At that young age we seem to need something special to tweak our memory. And I do have a memory to share. My family had been invited to a Christmas program at a neighboring school several miles east of our community. It was a different world back then. Rural areas had no electricity and no communication except radios powered by six volt car batteries. Weather was reported on as it happened. We went to the school program. We watched skits, listened to students sing Christmas carols and thoroughly enjoyed the evening. Suddenly people realized there was a full blown blizzard in progress outside. You don’t mess with a Nebraska blizzard. You get to a shelter and wait it out. The Nielsen family lived near the school and they invited several families to stay with them. They were family friends and they were probably the ones that invited us to the Christmas program. My folks’ 1936 Chevy sedan was helpless in a foot of snow and visibility was down to a few feet. The folks gladly accepted their invitation. 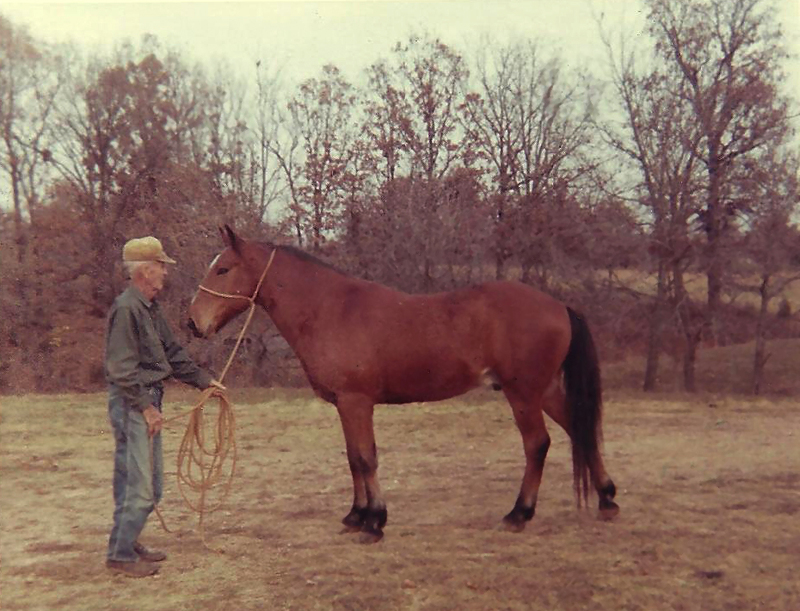 The Nielsens owned a farm and ranch operation. They lived in a large frame house surrounded by various livestock buildings. When everybody got inside they started getting out cots and beds. It was a typical farm house, some rooms were heated and others were not. The women and small children would sleep in the heated rooms and the men and boys would sleep in the unheated rooms. Mrs. Nielsen went to her wardrobes and trunks producing sheets, blankets, and quilts. Dad and I drew a tall leather covered settee that folded out into a bed. We had sheets and a blanket, but by that time she was to the bottom of the trunk. She pulled out a hair-covered lap robe, obviously left over from the horse and buggy days. It was a tanned hide with a quilted ticking liner that smelled slightly of mothballs. Dad and I slept warm as toast under it. We awoke to the sound of female chatter and the smell of pancakes and bacon frying in the pan. It had stopped snowing. . . I thought it was a buffalo robe and called it that. In later years Dad said he thought it was a horse hide. I have never seen a horse with that much curly hair. Buffalo robe or horse hide robe, it gave an eight-year-old boy a Christmas snow storm memory and warm feeling for good neighbors along the Sundown Trail . . .
Merry Christmas! I hope the weather is just right for you wherever you are. It is cold outside. Snow and ice are not far behind. This kind of weather always triggers memories for me: Christmas programs at tiny one room schoolhouses, frosted window panes, and the warmth and comfort of the old wood cook stove. Later memories of ice storms and miles of downed lines and the crews that worked through the days and nights to put them back up. When the windshield starts icing up, I always remember an old timer named Lymon. I was working as a service station attendant, my first real job in life. At one time or another every person that owned a car or truck in our small community came through that service station drive. They were as different as the patches on an old country quilt. It was a good place for a seventeen-year-old to learn and observe. Lymon drove a ragged old 1937 Chevy coupe. This day I put in his customary ten gallons of gas (at 30 cents per gallon, by the way) and started to wash the windshield. To my surprise there was a hole the size of a football right in front of the steering wheel. I inquired and Lymon told me the story. He had been in town to buy groceries and shop, but he took a little too long. A fast-moving winter storm descended and his heater and his windshield wipers didn’t work. About a mile out of town he had to stop because he couldn’t keep the ice off his wind shield. Finally in desperation he took his hammer and broke a hole in front of the steering wheel. “It worked fine,” he said. So he left it that way. The rest of the story came later. After a “fix it or else” conversation with the local state trooper, Lymon took the old Chevy to Shorty’s Garage to have the driver’s side windshield replaced. Shorty put in a new windshield, and while he was at it he put in a new thermostat and reattached the vacuum hose to the wipers. Lymon went home happy. Today when winter arrives and the snow blows, in my mind’s eye I can see Lymon driving down the road peering through that hole in his windshield with the ear flaps on his old cap fluttering in the breeze. Figuratively speaking I have pulled a few Lymons. I have seen others do it, too. It is just part of living. In the first year and a half I worked at the service station, all kinds of personalities and people came across that service station drive, the young, the old, the good, the bad, the ugly and the pretty. The pretties did not pay too much attention to me. But. . . then one day I installed a new battery for a pretty girl while she waited. I tried to make conversation. But she was not interested in talking to a guy with a toothy grin and grease smudges on his face. Several years later we began dating and she eventually became my wife. We celebrated our forty-ninth anniversary earlier this year. We have much to be thankful for this holiday season. Best wishes and a Merry Christmas from our house to yours. I can’t remember when I first carried a folding knife in my pocket. A good pocket knife was an essential tool for a farm kid in the forties and fifties. It was used to cut the ties on fodder bundles and hay bales. A sharp Case, Schrade or Barlow, and you were ready to skin a squirrel or clean a mess of Clear Creek bullheads. This Barlow knife is similar to the one I carried as a boy. I was instructed in safety measures early on. Such things as always cut away from your body, and don’t run with with the blade open. At school we played Mumbley-peg during recess. It was a gentler time. No one questioned the right or reason to carry a pocket knife to school. No one was ever hurt or threatened by a pocket knife at any of the rural schools I attended. One of my most prized possessions during the fourth grade was a pair of high-topped lace-up boots equipped with a snap down knife pocket sewn on the side. I wore them until they came apart from wear. As a teenager while finishing high school, I worked at a feed mill on Saturdays grinding and mixing feed. Most of the bags of grain and supplements we handled were one hundred pound size burlap bags. They were tied or sewed with heavy cotton string. To drop the contents into the hoppers the ties had to be cut. Pocket knives were left laying on the scales or some other handy place ready for use on each bag dumped. Today I carry an electrician’s knife in my pocket. It has a large drop point blade and combination screwdriver burr reaming, lock open blade. I also carry a pair of regular old slip joint farmer’s pliers in the plier pocket of my yard overalls. Both tools are the handiest tools a man could carry. These tools were made in America by craftsmen who knew what a good tool is. When I am done with the knife and pliers, they will still be solid enough for another generation of handymen. Alma Ewing was my first grade teacher at Highland school in Benkelman Township, Cheyenne County, Kansas during the 1945-46 term. Highland closed down at the end of the school year. The school house was sold and the small number of pupils shifted to other schools. For the second grade I went to Mt. 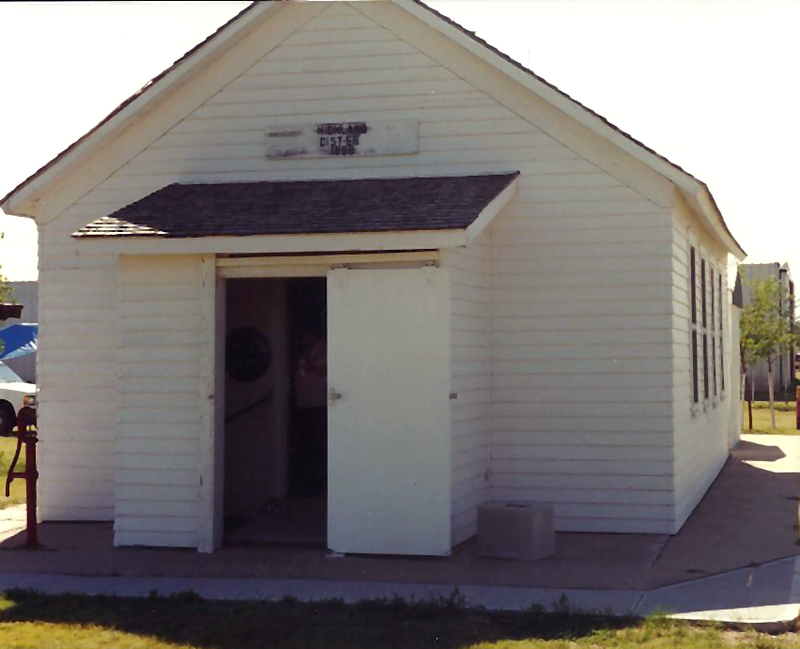 Zion, another one-room school, three or four miles east of our sod-walled home. Alma taught there, too. 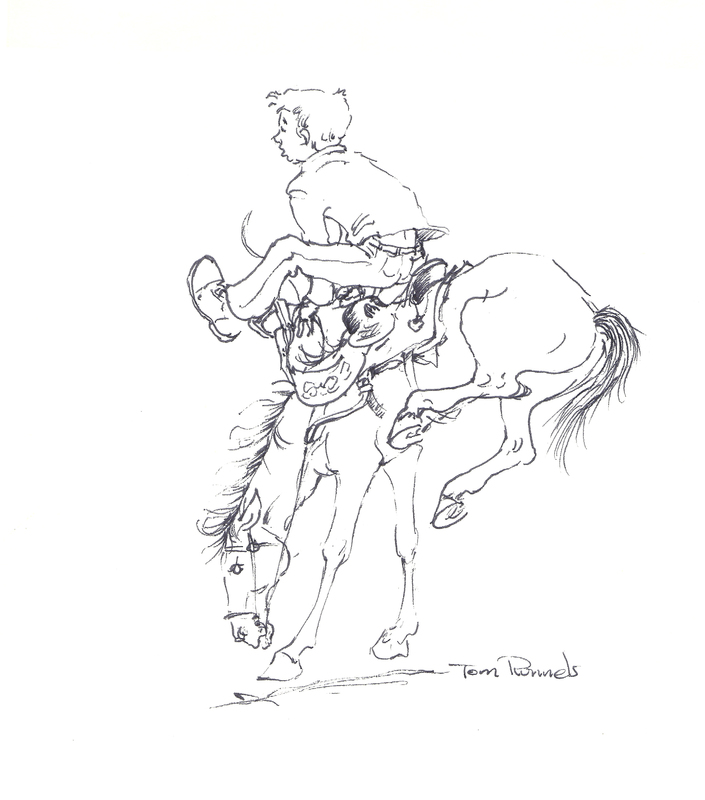 Sometimes I rode horseback, but most of the time the folks delivered me in the A-Model Ford. My older brother Wayne had graduated from the eighth grade at Highland the year before I started and Alma had been his teacher, too. He told me that she was a strict disciplinarian. 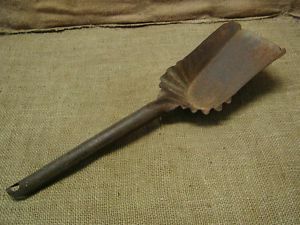 He claimed she used a fire shovel to administer spankings. When things really got rough, so his story went, she stuck it in the stove to heat it first. I was young, but I had already caught on to my brother’s mischievous nature. I didn’t set much store by his fire shovel tale. That is, until one cold wintery day at Mt. Zion school. This day the students were more fractious and noisy than usual. Alma warned us several times to quiet down. Soon the din would return to a low roar. Finally she had enough. Alma walked to the back corner of the room, removed the fire shovel from the coal bucket, opened the stove door, and placed the shovel in the fire box with the handle protruding out the door. Silence fell over the room. It seems the story had been told by others, also. Alma had heard the story too! The morning ground on in silence. Finally the noon hour came. We went out for recess and when we returned the shovel was back in the coal bucket. Alma left her mark on me. I’m happy to say that it wasn’t with a fire shovel. Several years ago I was returning to Missouri along Interstate 70 from a vacation out west. I learned that the Tri-State Threshers Association was having their annual get-together and steam engine show at Bird City in eastern Cheyenne County. I turned north at Goodland and went about 40 miles to Bird City to visit the Association’s fairgrounds. The steam engines were puffing and the whistles were sounding. I was browsing the flea market, enjoying the displays including the Charles Lindbergh display. Yes, there is Charles Lindbergh history in Cheyenne County, Kansas! But that is another story in itself, for another time. I stopped to look at the old schoolhouse display and realized I was looking at old Highland, District 66 school building. After it had closed it had been sold to a service station owner who moved the building to St. Francis and used it for tire and automotive products storage. The Threshers Association had obtained the school and restored it. There it was complete with schoolmarm and class in session. 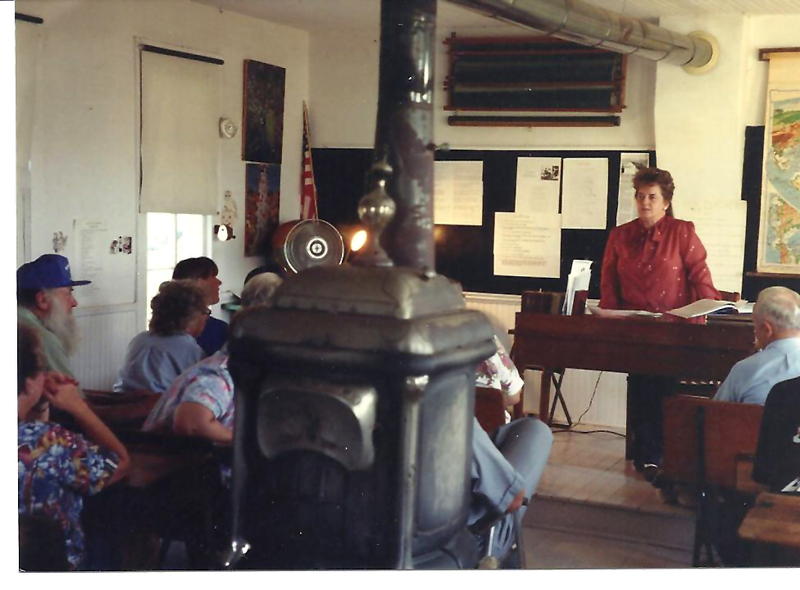 A modern day schoolmarm pretends to teach class at the new school location during Tri-State Threshers Association’s annual get-together in Bird City, Kansas. Highland school had traveled from its Buffalo Grass and sagebrush-covered hill on the western side to the flat land eastern side of Cheyenne County. Alma Ewing would have been proud. 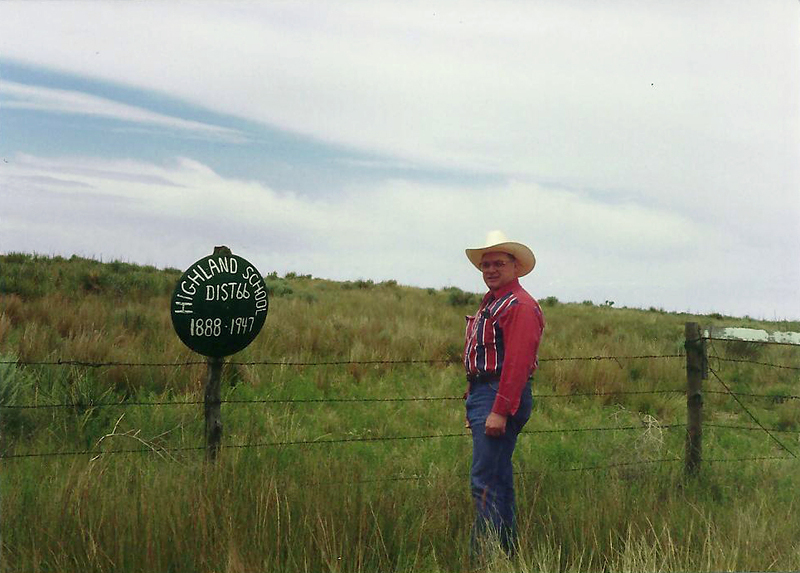 Walt at original Highland School site – District 66 Cheyenne County, Kansas. The grizzly bear, the black bear, the wolf, and finally the mountain lion left, first the Midwest and then the High Plains at about the same time that the so-called civilized man moved into those areas. With those top of the food chain predators gone, you would think that the outdoor people would have nothing to fear. Wrong! Those of us raised on the land know differently. There is one creature we walk in constant fear of. A creature that the mere sight of causes the hair on the back of the neck to stand up and the skin to crawl. I’m talking about snakes. The poisonous kind of snake! On the high plains of Kansas and Nebraska where I spent the first ten years of my life, the most common reptiles of the snake kind were the colorful bullsnake- a harmless and beneficial rodent hunter, and the deadly diamondback rattlesnake. Both types of snakes were common on the farm we lived on in Cheyenne County Kansas. I had my most memorable encounter with a diamondback when I was about six years old… We had a rogue cow that had learned that she could stick her head through the fence and push over a weak post. Once done she had easy access to the adjoining corn or grain field. Dad looked over west toward the field of young corn and saw the cow out. He laid his posthole diggers, a shovel, a post and tamping tool across the back bumper of the old A-Model Ford. I came running out of the house barefooted wanting to go along. He agreed to let me go if I stayed in the car. Down the lane we went into the pasture. The cow had been through the procedure so many times that she readily went back into the pasture with a little encouragement from a switch. Dad unloaded his tools and set about changing out the broken post. I was an active kid, and I soon reneged on my promise to stay in the car. First, I moved to the running board and in an attempt to keep my bare feet off the blazing hot bare ground, I started jumping from clump to clump of the short, curly, and soft buffalo grass. 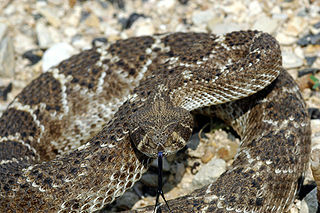 About the third clump I heard the warning buzz of rattles and felt an old diamondback move under my bare foot. I went ballistic, screaming and jumping as high as my young legs would carry me. Dad came running around the car yelling, “Did it bite you? !” Of course I wouldn’t stop hollering, and he jerked off my overalls looking for fang marks on my legs. When he did not find the bite marks and I calmed down enough to tell him how it happened, he deduced I was not bitten. The poor old rattler lost its head to the posthole diggers anyhow. It had no doubt curled itself tightly around the clump of grass to take advantage of the sparse shade. This fact probably kept it from striking and saved me from a bad experience. Here in the Ozarks we have many harmless snakes, the most prevalent being the black rat snake. But the ones to give a wide birth are the timber rattler, the cottonmouth moccasin, and perhaps the most hard to spot and thus avoid is the copperhead. Snake stories, I have told one or two. I could tell a dozen.